Can Cau, Bac Ha and their surrounding villages combine with home stay is special design for particular traveler who would like to avoid touristy activities. 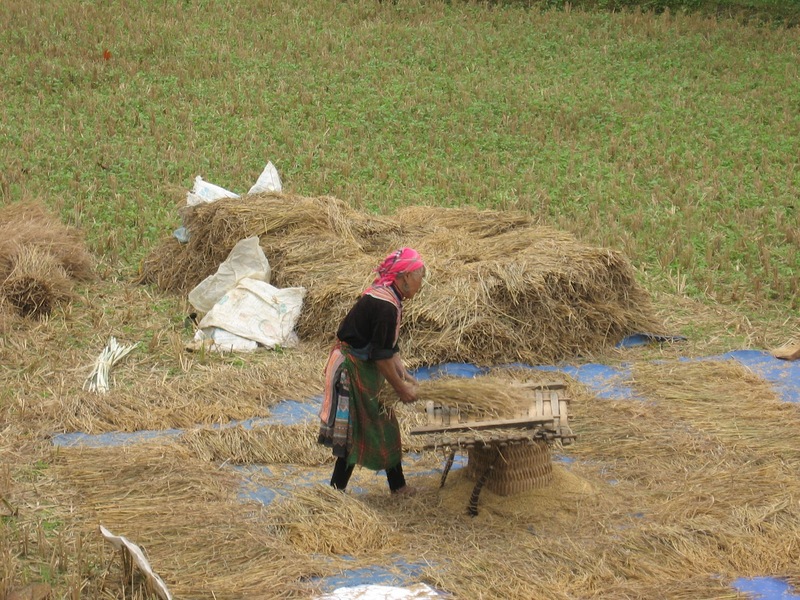 Witnessing the amazing and colorful markets, trekking through beautiful rice terraced fields, enjoying green beauty landscape and so fresh environment of natural reserve, then meeting smiling and warm-hearted minority people will be great experience. Arriving at Lao Cai train station in the early morning, you will be picked up by guide and driver. 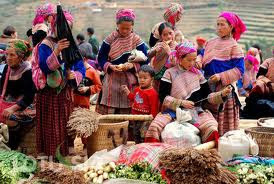 After having breakfast at the local restaurant, we transfer you to Can Cau market which is about 90km from Lao Cai by van. After 2.5 hours driving, you will arrive at colorful Can Cau Market which takes place only one time per week on Saturday, here is the great time for you to meet many different mountain tribes such as: Flower Hmong, Blue Hmong, Tay, Nung, La Hu as well as witness the mountain life of minorities people in the North of Vietnam through exchanging product activities. Lunch will be served before being transferred by Van to Lung Phinh then we will walk to Ta Van Chu village off the beaten track for about 7km. Along the way we will go to visit some native houses of Flower Hmong tribe to study their own culture, custom as well as tradition. Arriving at home stay in the late afternoon, you will have shower before having dinner and stay overnight here. Having breakfast at the home stay before heading out for 4 hours trek (13km) to Bac Ha market which is the most colorful market in Vietnam. After spending 2 hours looking through market, you will have lunch at the local restaurant. After that we will walk about 3 hours to Ban Pho village which is inhabited by Flower Hmong. In this village you can see how local people make clothe and corn wine. Keep walking another hour to Na hoi village to meet Nung people, overnight at the home stay in this village.